A new music director for the Dallas Symphony Orchestra, the 2019 Laureate of the Nasher Prize, and dance companies from Los Angeles and New York are set to make their artistic mark. Members of Ezralow Dance, a Los Angeles company, will appear this spring at Dallas' Moody Performance Hall. Photo by Kevin Parry. CULTURE HAS PLAYED A KEY and vital role in Dallas throughout its history. Art shows figured as part of the State Fair of Texas beginning in the late 1880's. Today, the AT&T Stadium, home of the Dallas Cowboys, displays an exceptional collection of contemporary art from such leading figures as Jenny Holzer, Wolfgang Tillmans, and Anish Kapoor - a fact which may surprise some. Yet, more than 100 years ago, visionaries established a symphony orchestra and a museum - later, the Dallas Museum of Art - whose collections grew to encompass more than 5,000 years of world culture. 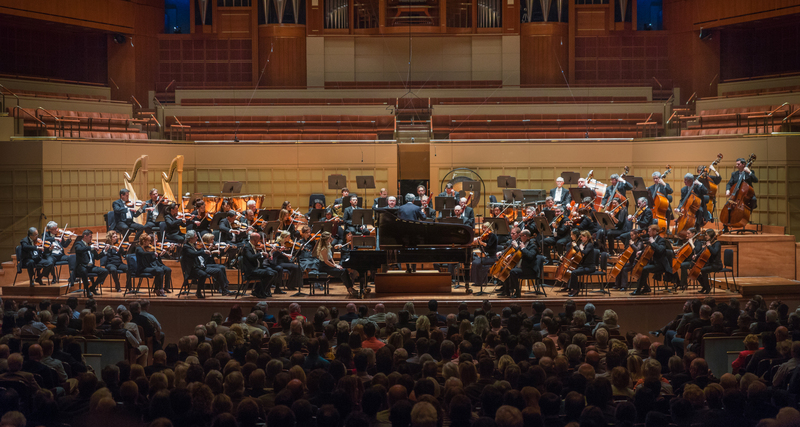 Today, that orchestra, the Dallas Symphony Orchestra, figures as one of the country's leading musical organizations and performs in the beautiful, acoustically distinguished Eugene McDermott Concert Hall at the Meyerson Symphony Center. Its acclaimed new music director Fabio Luisi - who conducts the orchestra this spring - is the subject of this magazine's feature on the arts, alongside the Nasher Sculpture Center and TITAS Presents. 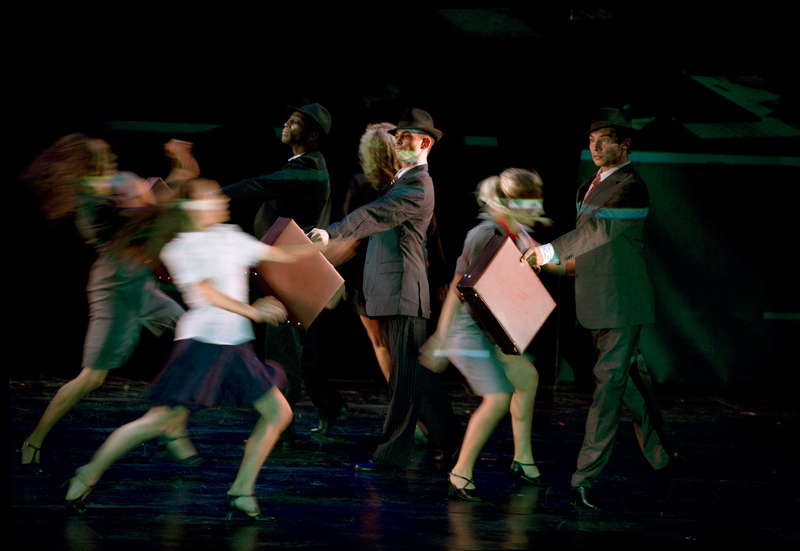 Under the aegis of TITAS, dancers from throughout the United States and abroad make up the cavalcade of companies that appear each season and offer audiences compelling dance repertory and world premieres in performances at the Winspear Opera House and Moody Performance Hall, hallmarks of the Downtown Dallas Arts District. In the spring, the Nasher's preeminent collection of modern and contemporary sculpture and programs are enhanced by its garden, whose verdant setting provides a quiet enticement for visitors - and a unique spot for live outdoor concerts and film screenings. Maestro Fabio Luisi; Luisi leads the Dallas Symphony Orchestra. Photo Courtesy of the Dallas Symphony Orchestra. WHEN FABIO LUISI, the newly designated music director of the Dallas Symphony Orchestra (DSO), steps onto the podium at Meyerson Symphony Center in April, the program will give a sure sense of the dynamic direction the conductor plans for the 118-year-old musical institution. The concert features a repertoire masterwork: Beethoven's Seventh Symphony, alongside the intensely moving Poem by William Grant Still, often described as the dean of African American composers, and the Concerto for Seven Winds, Timpani, Percussion and Strings, a virtuoso showpiece by Swiss-born composer Frank Martin. For reasons undeserved, the orchestral music of Still and Martin, who were contemporaries (both died in the 1970s), remains largely unknown and too infrequently performed. In fact, it is unlikely these pieces have ever figured on the same orchestral program. "William Grant Still is among those composers who developed a personal language, had something to say, and deserves to be heard," Luisi said. "Likewise, Martin's music is expressive of a particular idiom - spare, not opulent - and couched within a harmonic framework in an era when tonality was no longer prevalent." Luisi's program demonstrates the conductor's keen musical curiosity and an evolution in tradition that has distinguished the DSO, led throughout the years by such notable musicians as Antal Doráti, Eduardo Mata, and, most recently, Jaap van Zweden. Indeed, the conductor's plans for the DSO signals a reinvigorated era in the city's cultural life. Such distinct organizations as the Nasher Sculpture Center and TITAS, among others, continue to assume greater artistic dimension as a consequence of pioneering exhibitions, presentations, and programs, exerting influence beyond Texas, in the United States and abroad. "William Grant Still is among those composers who developed a personal language, had something to say, and deserves to be heard." Fabio Luisi was born in Genoa, Italy, studied in Vienna, and has held notable positions in Europe, including general music director of the eminent Staatskapelle Dresden. His appointment in Dallas represents his first as conductor of an American orchestra. Notably, Luisi will lead a ten-year program to commission twenty works for the orchestra from composers, including Julia Wolfe and Steve Mackey. "As part of my role as music director, I wish to support the creation and performance of American music," Luisi said. "We, that is, orchestras, need composers and their music, and composers need interpreters, and the opportunity to write for large performing forces. In addition, new repertoire provides opportunities to reach new audiences." Luisi is also one of today's most admired opera conductors. He serves as general music director of the Zurich Opera, and was principal conductor of the Metropolitan Opera during the period 2011-2017, leading acclaimed performances, including Wagner's Ring cycle. In Dallas, he looks forward to conducting performances of operas- in-concert each season, beginning with Richard Strauss' Salome, based on the lurid short story by Oscar Wilde. Asked about this early Strauss masterpiece, which premiered in 1905 and whose frank and decadent eroticism proved shocking to audiences (the opera retains its emotional punch in the twenty-first century), Luisi responded succinctly, "Salome is a symphonic work - compact, essential, short, and difficult. For a symphony orchestra it represents a style that needs to be developed and explored." There may be few places to enjoy the magnificence of a Strauss score as much as at Meyerson Symphony Center. Architect I.M. Pei designed its auditorium based on the European shoebox model, and Russell Johnson provided its sophisticated acoustical scheme. Whether enjoying a solo recital or orchestral concert, listeners experience a quality of sound that is exceptional in clarity and balance. The concert hall, which celebrates its thirtieth anniversary in the fall, endures as one of the world's most beautiful: wood paneling of African makore and American cherry with elegant onyx embellishment imbue the space with warmth, and offer striking contrast to the lobby's cool austerity of marble, travertine, limestone and glass. Since the hall's inauguration, the estimation of the magnitude of Pei and Johnson's achievement has grown, made evident by the addition of the Meyerson's 4,535- pipe, four-manual organ, installed in 1992. The resources of that instrument and the Dallas Symphony Chorus will be on full display when Luisi leads performances of Franz Schmidt's monumental The Book with Seven Seals, a choral-symphonic masterwork with two dazzling entr'actes for organ. Luisi, a noted interpreter of Schmidt's music, said, "This piece, rarely played, will be a discovery for Dallas audiences." 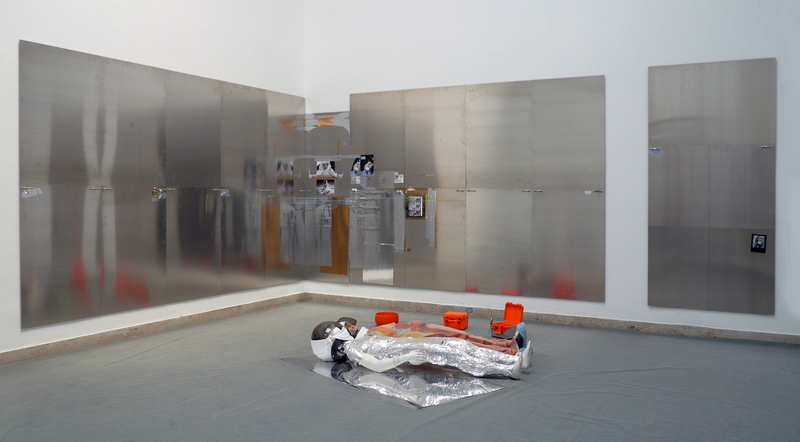 OIL XV/ OIL XVI, 2007, installation by Isa Genzken. A BLOCK FROM THE MEYERSON lies the Nasher Sculpture Center. It is a jewel in many senses. Renowned as one of Renzo Piano's fi nest buildings, the intimately scaled museum comprises a series of luminous galleries fi lled with displays of modern and contemporary sculpture from the Raymond and Patsy Nasher Collection. Its terrace opens to a verdant garden landscape designed by Peter Walker: allées of live oaks and cedar elms, magnolia hedges, and fountains and pools, accent outstanding works by Joan Miró, Barbara Hepworth, Mark di Suvero, and others. The impetus for the remarkable assemblage of more than 300 sculptures was a single gift from Patsy to her husband Ray - Jean Arp's sinuous bronze, Torso with Buds. Thus began a tradition of reciprocal gifts and joint collecting that today forms the core of the Nasher's preeminent collection and a foundation for ongoing acquisitions, special exhibitions, and innovative education programs, including the use of 3D modeling to recreate busts from the collection for the visually impaired to touch and explore. During its relatively brief existence - the museum celebrated its fifteenth anniversary last fall - the institution has launched the Nasher Prize, an annual, international award made to a living artist who has had a significant influence on contemporary sculpture. In 2016, the inaugural prize was given to Colombian-born Doris Salcedo, followed by Pierre Huyghe, and last year to the American installation and conceptual artist Theaster Gates. German sculptor Isa Genzken, the 2019 laureate, received the prestigious honor in April. As a part of programming around the prize, the Nasher organizes public lectures, panel discussions, and symposia in Dallas and cities around the world. "Ray recognized that people enjoyed engaging with art in approachable environments, whether a garden or a setting such as [the mall] NorthPark Center," said Jill Magnuson, director of external affairs. In that spirit, the Nasher celebrated its tenth anniversary by commissions of sculpture and installations that were placed throughout the city, rather than in a special exhibition at the museum. Looking forward to the twentieth anniversary, Magnuson hints that as technology continues to spur digital innovation, particularly in the work of today's artists, it affords, too, the means for reaching ever larger, global audiences. Ezralow Dance. Photo by Angelo Redaelli. FOR TITAS, the presenting organization that each year brings dance companies from throughout the United States and abroad to Dallas' AT&T Performing Arts Center, the new and inventive is fundamental. The mission: to shine light on diverse styles of today's modern and contemporary dance, ranging from the French-Algerian and African dancers of Compagnie Hervé Koubi, whose works meld martial arts and hip-hop, to Dorrance Dance, the boundary-loosening tap ensemble led by Michelle Dorrance, a MacArthur Fellow. TITAS also plays an important role in supporting the creation of new works that are presented before Dallas audiences and seen elsewhere as these commissions enter the repertory of dancers and touring companies. "We look for groups that are at the top of their game, that offer something unique artistically, and will challenge audiences." As executive director of TITAS, Charles Santos serves as an indefatigable impresario, identifying companies to bring to Dallas. Santos said, "We look for groups that are at the top of their game, that offer something unique artistically, and will challenge audiences." Hand-in-hand with this mission is the aim to develop and expand dance audiences. Post-performance, question- and-answer sessions among dancers, choreographers and audiences help shed just the right amount of mystery from contemporary dance and foster interest in the art form. Master classes by touring companies are also open to the public. Within the Dallas Arts District, TITAS benefits from having two striking venues for presenting dance: the Winspear Opera House and the more intimate Moody Performance Hall, with 750 seats. In each, audiences can enjoy the singular experience of live performance, that special immediacy that can quicken the pulse. It offers engagement for audiences that acknowledges the possibilities of dance as a form of leisure entertainment and, at times, artistic inspiration. As Pablo Picasso understood clearly, "Art washes away from the soul the dust of everyday life."